There is no right or wrong way to develop software. However, there are dozens of techniques and approaches that can make the process faster and the results – better. The test-driven development methodology (TDD) is one of them. Being a very popular software development methodology, it is widely used by agile software development teams. We at Eastern Peak also follow this approach for a couple of reasons: it can significantly speed up the development process, and can make it more efficient and cost-effective in the long run. How does test-driven development work? What are the benefits of this approach? And is test-driven development worth it at all? Find the answers to these questions as we share our insights on this approach below. 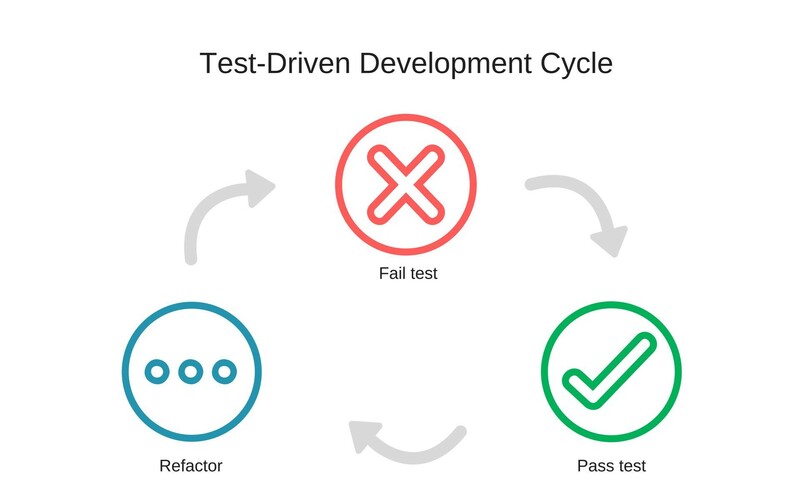 The test-driven development methodology is a software engineering approach that relies on the repetition of short cycles. Each of the cycles includes a test which indicates the requirements for a feature or an element of an app before it is implemented, the code implementation of the feature or element that should pass the test, and its further enhancements according to the accepted standards. One of the test-driven development principles prioritizes writing a minimal amount of code needed to pass a test. Only when the code passes the test can it be improved and refactored. As a result, the codebase becomes clear, concise and efficient, while at the same time meeting all the end product’s functional and business requirements. As follows from the test-driven development definition, it works perfect in combination with Agile methodologies. For example, our experience at Eastern Peak shows that it can be successfully used on Scrum-based projects as well. Read also: Agile vs Waterfall Project Management: Which one to choose? Ideally, software testing and development/refactoring should be performed by different specialists. Thus, there should be at least two developers engaged in the test-driven development process: a programmer and a QA engineer. What are the Most Important Benefits of the Test-Driven Development? Having successfully applied TDD principles for the past several years, our developers, including our clients, noted a number of benefits. Based on our experience using this approach, we would like to outline some of the main test-driven development advantages for any business. Better software architecture. Since the product is made of small code modules, it is easy to build a flexible and extensible architecture. This means, your product will be highly scalable and capable of withstanding heavy loads due to its solid inner design. Increased flexibility. Again, due to the modular code structure, it is easier to implement changes or expand the existing codebase with new features. As a result, you can scale your application, as well as your business, without any technical limitations. Easier code refactoring and maintenance. By working with a modular codebase, refactoring becomes much easier and faster (not to mention cheaper!). Thus, your developers won’t waste their time digging through the code monolith but will be able to pinpoint any inefficiencies and improve your product instantly. A faster development cycle. By using TDD, your team receives immediate feedback on the developed components. This means a shorter feedback loop and, as a result, much faster issues resolution. An increased focus on the UX. In a test-driven approach, the functionality always comes before the form. The focus is always on what the software does (that it performs correctly), and not on the implementation. This helps you build your product with the customer in mind, while maintaining that the final result meets the expectations of the target audience. A risk-free development process. If the implemented changes or integrations break the existing code, you will know about it immediately. The tests will identify possible errors in a really short period of time. As a result, you will be able to pinpoint and fix any issues as soon as they arise, not after the product launch. Increased project transparency. One of the key principles of test-driven software development is that the project requirements should be clearly communicated to all team members before the development starts. This makes the process more accurate and efficient, while ensuring that the end product meets your expectations. While the above listed benefits certainly have convincing qualities to them, there is one more advantage that is hard to ignore. TDD usually leads to significant cost savings in the long-term. 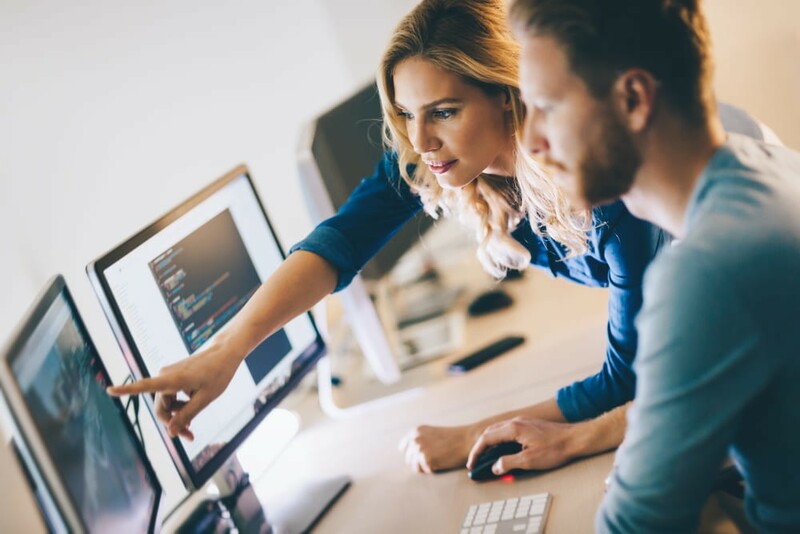 Despite the fact that TDD is mostly considered to be a time-consuming process, the total cost of ownership of your software product will eventually be lower due to a number of reasons. The produced code will be easier to change and maintain, and it will require minimal bug fixing efforts. Plus, the final product usually doesn’t need any significant changes thanks to the clarity and consistency of the requirements. At this stage, our QA engineers or developers create tests to verify every possible component of a feature or an app. For example, if we need to build a user registration feature for an app, we will create separate tests for every step of the process. One of such tests establishes that the email form was not left blank or that the email has a valid format. Later on, there will be as many tests created as needed in order to cover every aspect of a much larger feature, and the app in general. The next step is to make sure that the test fails (this is because the tested element is not implemented yet). This helps us understand if the test is useful and if it is of any help once the feature is implemented under the test. Considering the above-given example, the test that verifies if the registration email has the correct format will fail simply because there is no email form yet to do that. As soon as we have confirmed that the test fails (and that it failed according to the reasons for which we have expected), our developers can go ahead and implement the said feature. At this stage, one of the key test-driven development principles is to avoid writing any excessive or unnecessary code – only the bare minimum required to pass the test. The code created at this stage can be very rough and simplistic. The code created during the previous stage should be able to pass the initial test and prove that it performs exactly as was required and expected. In our case, the written code should be able to verify that the provided email is correct or identify an invalid email format. As soon as the test is successfully completed, our developers can review and improve (refactor) the code. After that, we repeat the cycle and apply each of the listed steps to other software features until the product is ready for launch. When to Use Test-Driven Development Methodology? All in all, if you are adhering to agile methodologies for software development, choosing the TDD approach is a no-brainer. It can be used to build complex, feature-rich projects with clearly defined requirements. Following the TDD principles will only improve the efficiency of the process while providing a product with the desired quality and scalability. However, if you need to build a simple app or a proof-of-concept, the effort that is required for undergoing TDD won’t be justified. It is also difficult to follow the TDD method if the requirements are not clear or keep changing: In addition to rewriting the code, you will need to review and change the tests as well. The test-driven development approach is also most adequately applied to those projects that are being developed from scratch, and not from legacy software. When building software for our clients, we uphold standards that result in an end product that is high in quality, performs as expected, and meets the business requirements. But aside from that, we do care about the process itself, always trying to offer the best value for money. That is why we personally recommend the test-driven development approach. If you are at a crossroads and can’t decide whether the test-driven approach for development makes sense for you, contact us for a personal consultation. 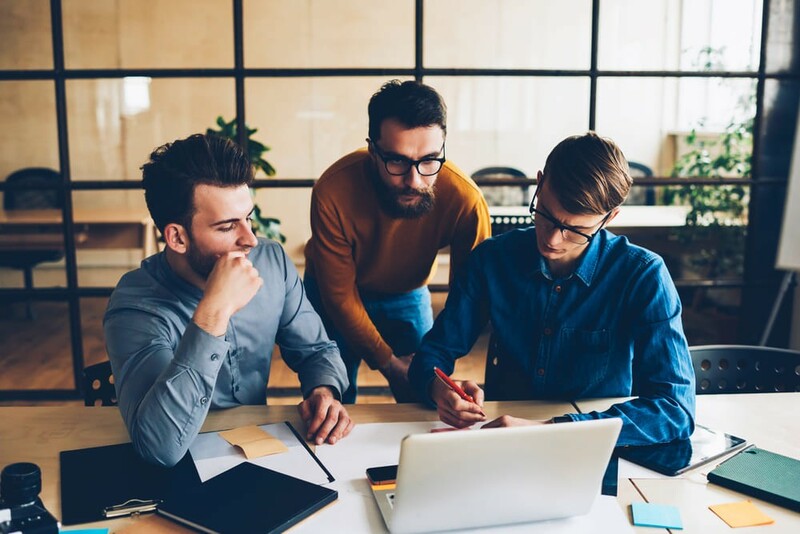 With our expertise, we can help you organize your thoughts and the process in the best possible way through professional technology consulting or take care of the development of your product from scratch. Get in touch with us now to discuss further details. 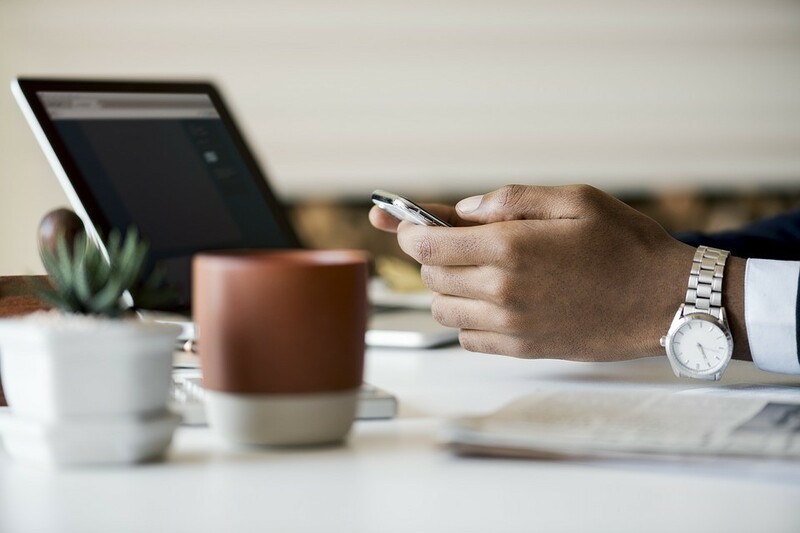 Test Before You Develop: Why Should You Choose Rapid App Prototyping Prior to Building Your MVP?